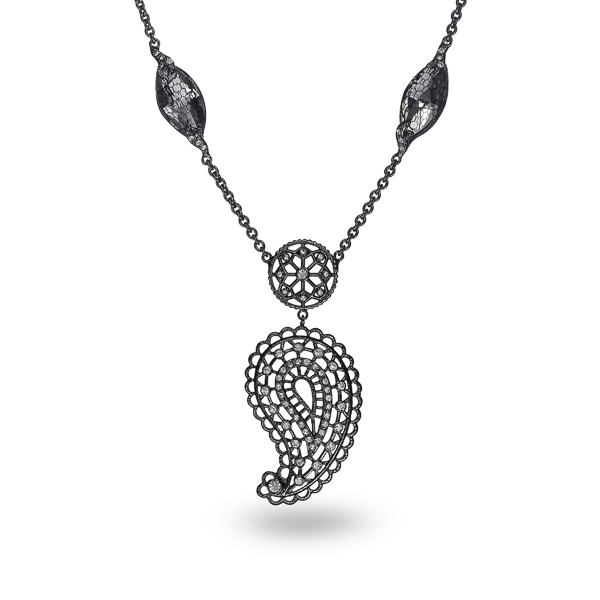 Description: This necklace features filigree design of the beautiful and much loved paisley symbol. She is plated with black rhodium and entails both individual and channel set crystal work. Diamond cut see through plastic stones are stationed on the chain to complete her unique look. Enter Quantity for N-AE011 to add to your shopping cart.